Some people love their jobs. Some people hate them. 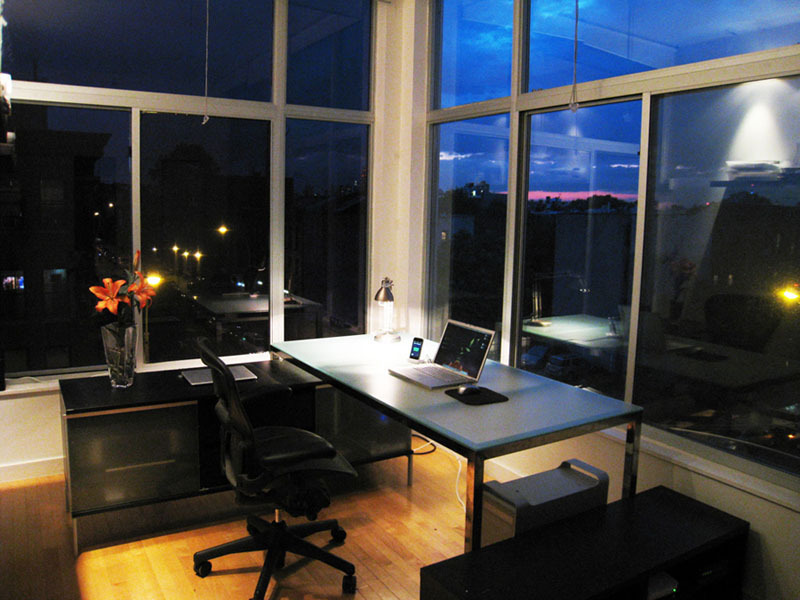 Regardless, no one should have to work in a drab office space. At Contempo Closet we can provide the tools to create an office that will turn heads on any firm’s clients and employees. Contempo Closet’s premium line of wardrobes and storage closets can help keep your office neat and tidy with superior organizational capability thanks to custom interior/exterior drawers, shelving, and closet doors. Our freestanding collection is easy to move, a touch of versatility for the chaotic office environment. Tall and narrow wardrobes fit almost anywhere and leave extra space to keep the office free of clutter. And, of course, we can’t deny the aesthetic improvements a Contempo Closet brings to the office. Contemporary, stylish furniture will let your clients know to expect professional service and a unique, modern approach. Our custom finishes and combinations give you the power to decide the details, while our top-notch design consultants will work with you to make sure your selection matches the pre-existing environment. Feel free to ask about our custom desks as well, designed to fit your office both structurally and aesthetically. Work doesn’t have to be boring. Use Contempo Closet to let your office take on a life of its own. This entry was posted in Closet, Furniture, Office, Organization and tagged Closet, Office Furniture, Organization, Shelves, Work Space. Bookmark the permalink.